As the spotlight shines on the Bend property stage an eager audience leans in. Imagination takes hold at the Tower Theatre where the spirit of community theater thrives. The calendar is filled with a variety of programs including plays, concerts, lectures and film. Both laugh out loud and dramatic moments are commonplace in the building. Actors provide first class performances in a variety of genres pleasing to one and all. This piece of Bend real estate boasts a rich history. The doors first opened to audiences in the 1940’s. Generations have attended cinematic movies and stage shows. Fully renovated in 2004 advancements were made in sound systems, the orchestra pit, box seats and lobby design. Working off a belief that “performing arts strengthens our community and improves our lifestyle” educational programs are in the forefront. Introduction to theater arts takes place in the form of classes, workshops and family friendly performances. 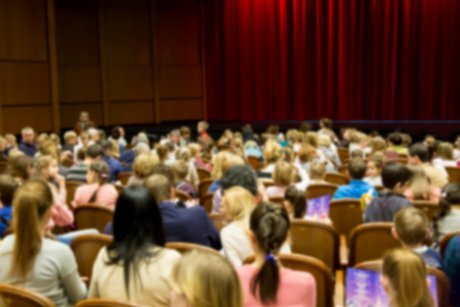 Oregon students benefit from shows in house as well as in the local schools. Performances interweave educational subjects into their scripts such as history, science and culture. Performing arts workshops take place at Mountain View High School and feature dance, voice and music. The Tower Theater Family Series puts on family friendly productions that are affordable for everyone. General admission is only $4 for individuals and $12 for families. Memberships to the Tower Theatre are perfect for theater buffs living in Bend. Perks include advanced ticket sales, complimentary beverages, performer meet and greets and access to the VIP Membership room. Additional information regarding membership opportunities can be obtained by calling 541.977.6300. Visits to the Tower Theatre are great for date nights and special occasions such as birthdays and anniversaries. Add a bite to eat before or after the showing makes for a perfect trip. Downtown Bend property restaurants and eateries are scattered about nearby providing an array of culinary choices for almost any palate. Tickets can be purchased at the Tower Theatre Box office which is open Monday through Friday from 10 am to 5 pm.